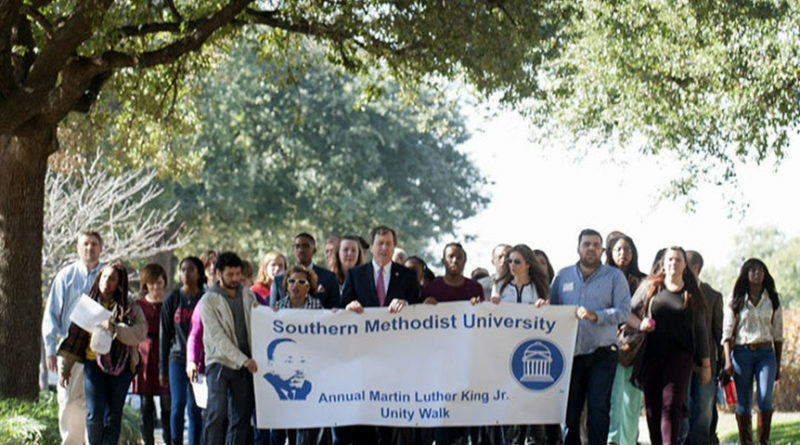 In honor of the legacy of Dr. Martin Luther King, Jr., SMU will hold its annual campus Unity Walk at 6 p.m. Jan. 23 to commemorate King’s core values – faith, education, nonviolence, love, leadership, community, and hope. 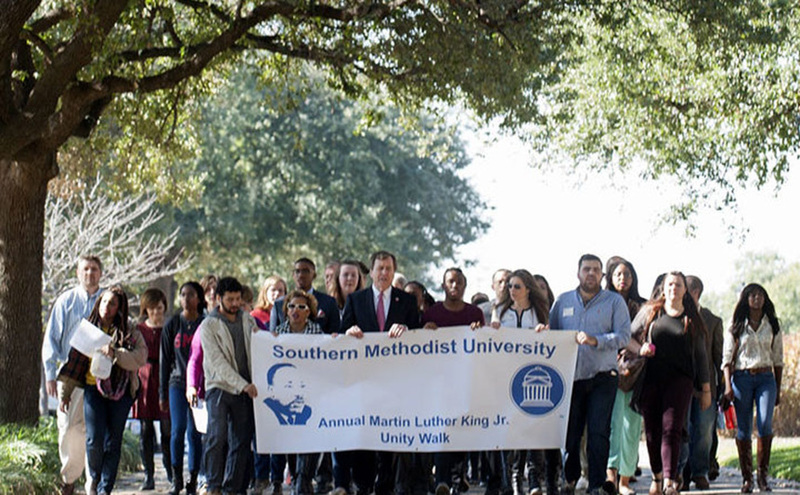 The Unity Walk is part of SMU’s annual Dream Week, which commemorates the life and contributions of the civil rights leader. SMU’s commemoration occurs the week following the traditional observation of MLK Day to coincide with the return of students to campus. During the Unity Walk, SMU President R. Gerald Turner and partner student organizations will hold posters that highlight quotes and values King emphasized. Turner and students will begin the commemoration with remarks in the Hughes-Trigg Student Center Ballroom, 3140 Dyer St. The brief campus walk will then begin at the south entrance of Hughes-Trigg Student Center, 3140 Dyer St., and conclude at the flag pole at the north end of Bishop Boulevard. Find campus parking for visitors here.